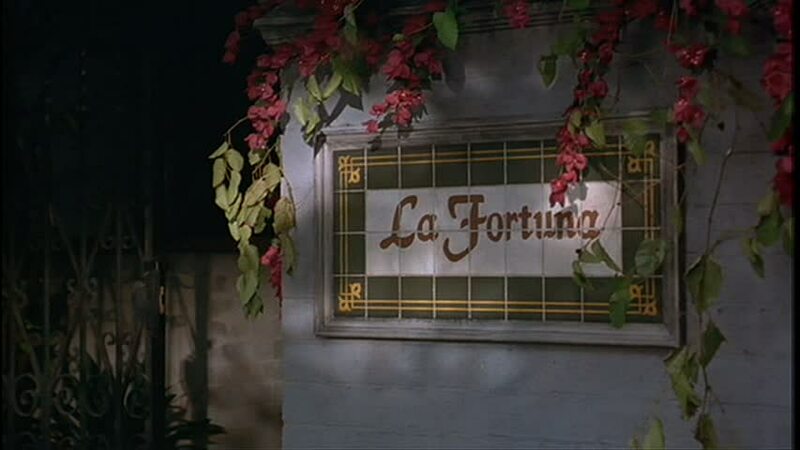 Over the years I’ve gotten a lot of requests to feature La Fortuna, the charming Spanish-style courtyard apartment building from the 1997 movie ‘Til There Was You. 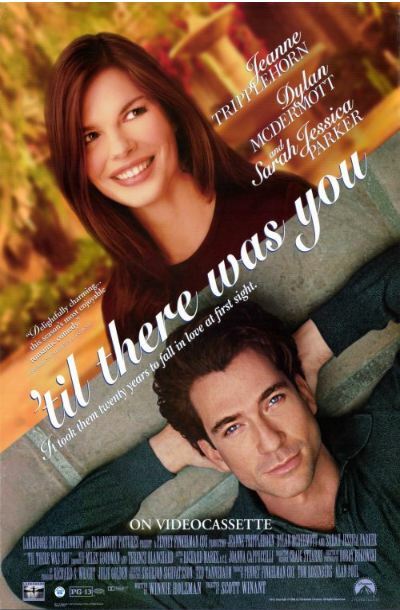 I remembered the romantic comedy, starring Jeanne Tripplehorn and Dylan McDermott, and the beautiful sets, but it was hard to find it on DVD. So when Netflix recently added it to their catalog, I was excited to finally watch it again and see that La Fortuna was just as magical as I remembered. 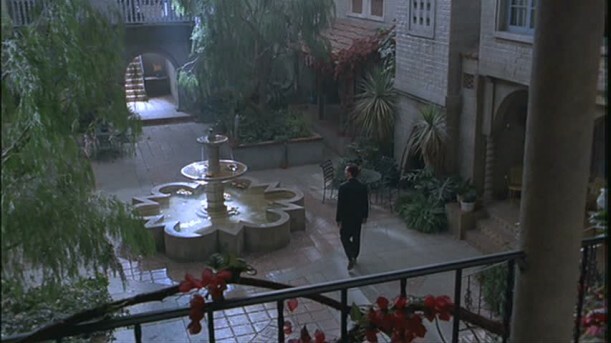 Not only that, but I found out that it was filmed in a real courtyard in Hollywood, and you can actually stay there. Take a look! In the movie, the picturesque courtyard apartment complex known as La Fortuna is slated for demolition, and the residents band together to fight it. When Jeanne Tripplehorn’s character Gwen walks into the courtyard for the first time, she’s enchanted by it. 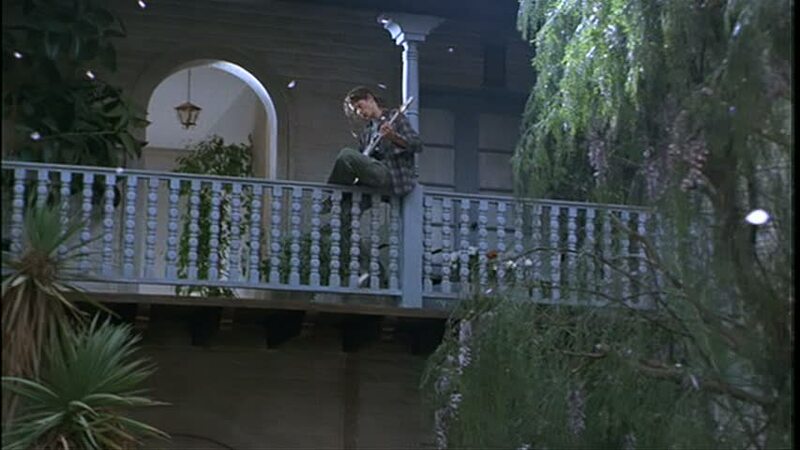 …and there’s a guy softly playing a guitar on the balcony overhead. Lindsay, who blogs at I Am Not a Stalker, is my hero. Not only is she even more obsessed with TV and movie houses than I am, but she manages to track a lot of them down. I read on one message board that the courtyard was recreated on a soundstage for filming, but others say it was actually shot here. May have been a mix of both. Either way, I thought it was the star of the movie. It looks like the same complex from the Ashton Kutcher/Amanda Peet movie A Lot Like Love as well. 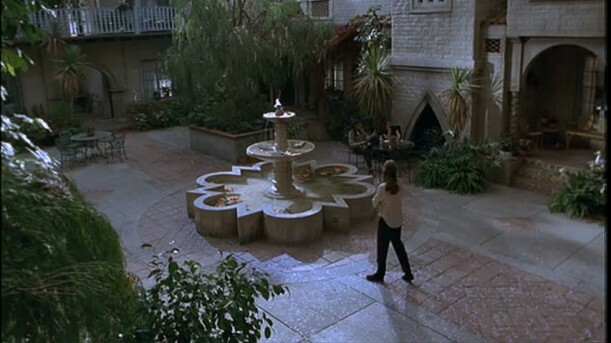 I always loved that courtyard from the movie (the movie, not so much), but I didn’t know it was the same one on Chuck. They just don’t make ’em like that anymore. This is a very interesting post. I always love seeing movie houses. 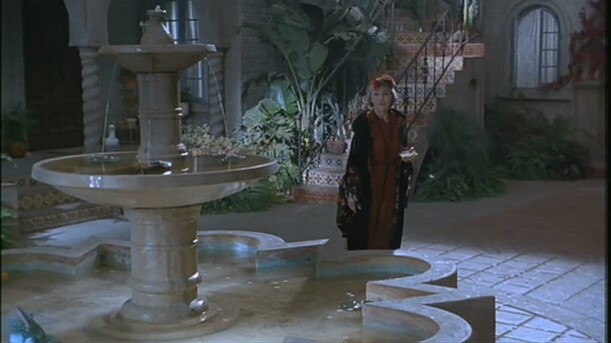 I’m obsessed with those Spanish-style courtyards! 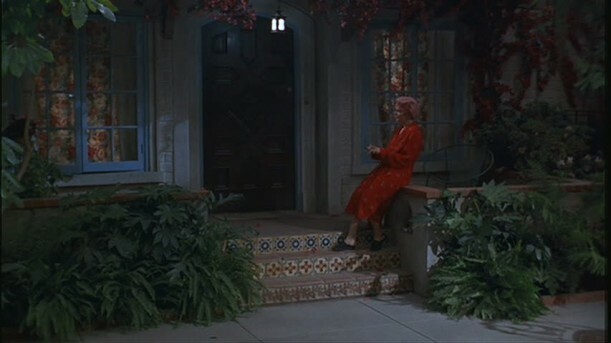 I’ve always wanted to own a house with my own private courtyard. I thought it looked like the courtyard from Chuck. Exact same fountain. 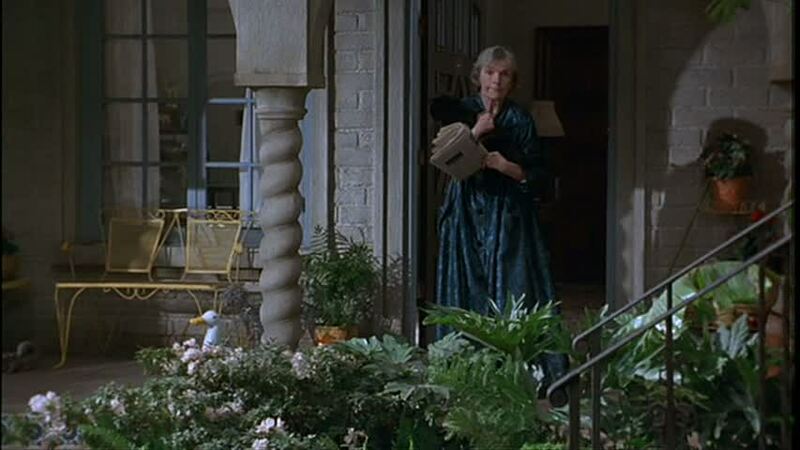 I never saw “Til There Was You”, but I was a big fan of Chuck and I quickly recognized the look of the place. When they reproduced the main apartment for Chuck, they actually subtracted or added a fireplace (I forget which). 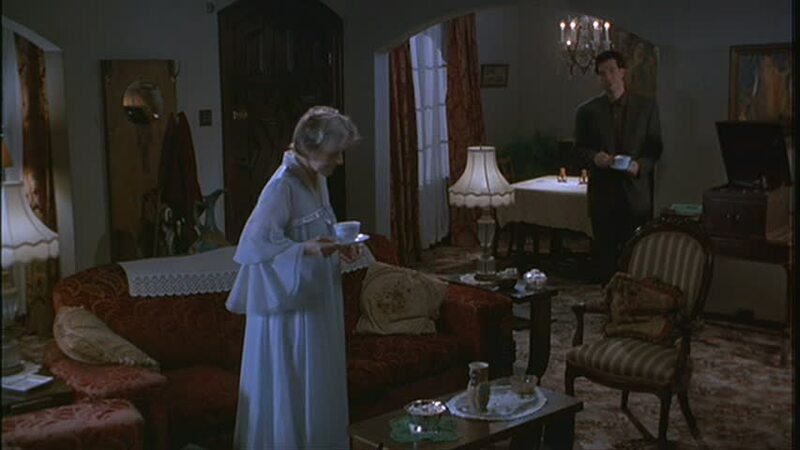 Many big scenes throughout the series took place in the studio version of the courtyard by the fountain. 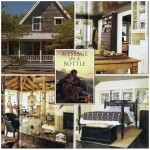 The place always added a certain warm feeling of refuge from the spies and killers, though not always successfully. If you look up “El Cabrillo” in Wikipedia, there’s a nice article on it’s history and architecture. Yay! That’s the one from Chuck!! 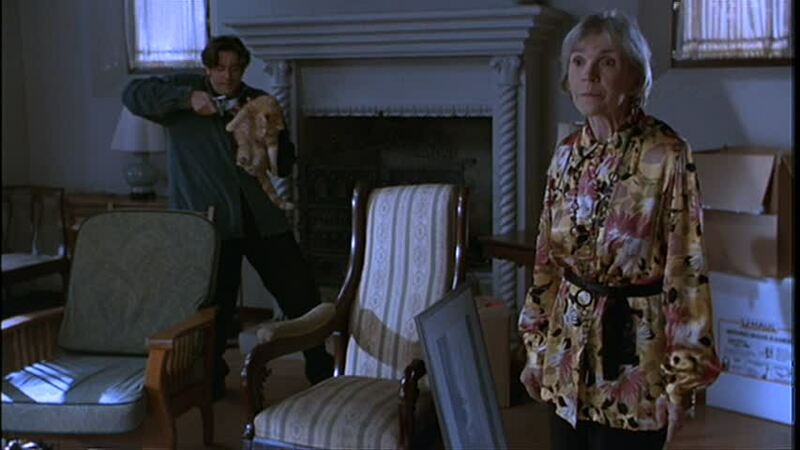 I TOLD you you should feature Chuck’s house! Now you HAVE to!! (As a follow up). Thanks for sharing — it’s now driving me crazy! I keep thinking that I’ve seen either a Sandra Bullock or Jennifer Lopez film there, but can’t think of what. Thank You!!! Now I can sleep. The apartments remind me of the ones in The Ugly Truth with Katherine Heigl and Gerard Butler. Gorgeous. Having seen a few episodes of Chuck, I thought it looked familiar, but thought I might be mistaken, then I got to the end of your post, and yes, I’m not crazy, that is the Chuck courtyard/apartments! I had never seen or heard of this movie until now. Those apartments are so nice and peaceful. It would be a great place to get away from the world. Too bad there’s not any apartment complexes like this today. It’s Giles’ apartment in “Buffy the Vampire Slayer (the series)”! Is it? Didn’t know that! I don’t remember that movie, but I thought that fountain was familiar. Glad you mentioned that Chuck pilot was filmed there. 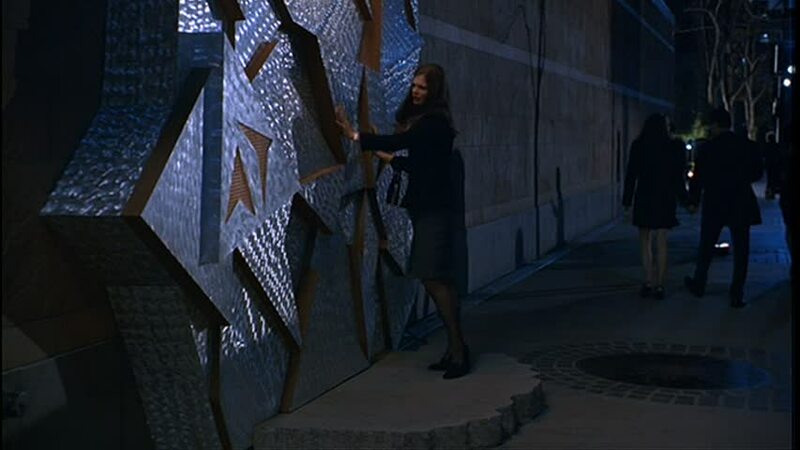 It’s so much fun attempting to figure out where things were filmed. There’s lots of stuff filmed where I live. My son and I had lots of fun watching Justified, trying to figure where a particular house was (and no, Justified is filmed in LA for the most part, not Kentucky). Good Morning Julia this was fun I have not seen or heard of this movie must look for it on DVD. I love spanish style courtyards. Thank you for sharing. Regards Esther from Sydney. What a gorgeous place. I love it. Did you ever do a feature on Alyssa Milano’s NY apartment in Sundays at Tiffany’s.? Cute place. I’ve always loved this movie for it’s set. I never knew what the name of it was because I would just catch bits of it on cable every now and then. I’ll have to watch the whole thing on Netflix so I can look at this beautiful building again. Swoon! Gosh I love these courtyard buildings (cottages too) and always wanted to live in one. Had friends that lived in one and hung out there pretty much an entire summer many (many) moons ago. They were actors (‘natch) in a troupe specializing in 1920’s style (think flash mob theater) which they lived and breathed, so their 1920’s apt was done up with original ’20-’30’s furnishings – it was like stepping back in time. Very cool. When I first checked out the rental listing the map showed it on the corner of Yucca (it’s actually on the other corner at Franklin) because of this I had to street view stalk the area — my how times have changed. A couple of years (decades?!) ago I knew someone who lived on Yucca and we deemed the name (this apt is Yucca!) to be perfect as it was a *seriously* shady slummy area. Now it looks very hipster upscale! I hadn’t seen those photos–thanks, Maria! Thanks for posting. I have to catch it on netflix. didn’t know it was added til i read your post. 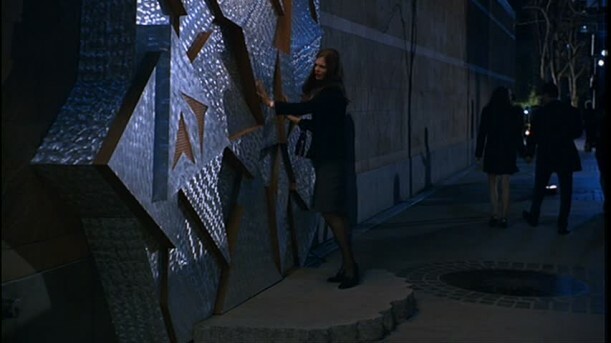 i like this movie for the eye candy, and not dylan mcdermott, although he is easy on the eyes, but the architecture. the movie itself is not that great even though the actors are tremendous. just didn’t care much for the dialogue and editing. 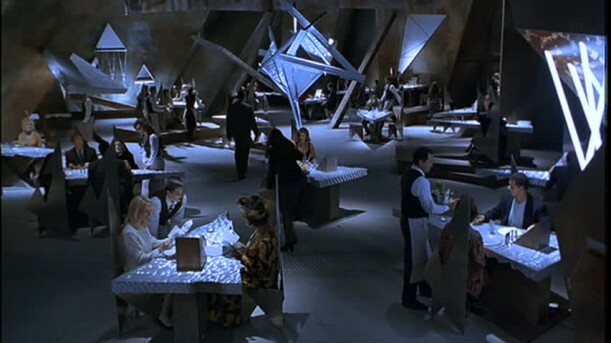 the set design more than makes up for it imho. there are some movies that aren’t that great but have something else going for them like the set design and cast. this is definitely one of them.